Summary: Two essential pillars to support the scale up of small and medium-sized enterprises (SMEs) are technical assistance and access to finance. Sevea has extensive knowledge and experience in supporting SMEs in their scale up with both pillars. In the past 5 years, Sevea has supported more than +26 SMEs (including 21 in South-East Asia) from strategic consulting to operational support, passing by access to finance raising more than USD 2.2M. When it comes to business development, small and medium-sized enterprises (SMEs) find themselves usually in a complicated situation both in terms of securing growth funds and having internally the capacity and skills required to grow soundly. In addition, SMEs usually face significative gaps in terms of internal skill required to develop themselves and lack the financial capacity to finance the appropriate technical assistance that could help them overcome temporary challenges. Two essential pillars to support the scale up of small and medium-sized enterprises (SMEs) are technical assistance and access to finance. Sevea has extensive knowledge and experience in supporting SMEs in their scale up with both pillars. In the past 5 years, Sevea has supported more than +26 SMEs (including 21 in South East Asia) from strategic consulting to operational support, passing by access to finance raising more than USD 2.2M. Sevea is at a strategic turn and needs to reinforce its team. We aim to expand our activities of our SME Business Development Department. 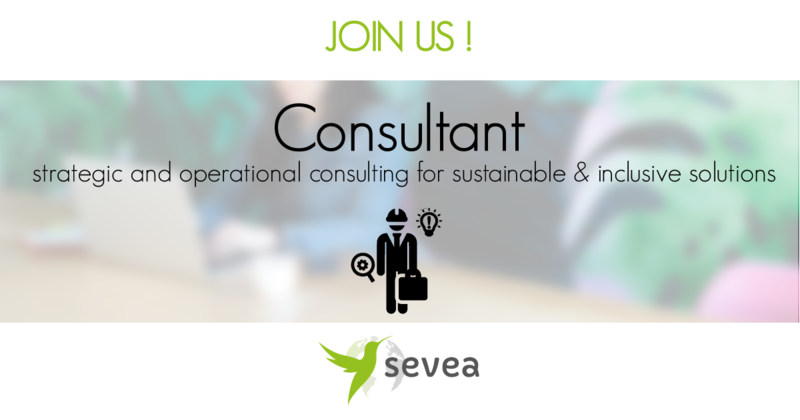 We are thus looking for a hard-working passionate Business and Financial Consultant for SMEs.